Women on a Mission: Mom Edition: Random Wrap-Up & Homemade Buffalo Sauce! Well, Friends, Valentine’s Day has almost come to an end. Shaun and I enjoyed a brief respite without the girls thanks to his parents picking the girls up every Thursday and giving them dinner. How did we celebrate? Ham and cream cheese roll-ups and frozen pizza. As Lori would say, rock on crouton! Our sweet next-door-neighbor, Jim, plowed our driveway AGAIN – I’ll have go get him a gift card to Home Depot and a box of chocolates. Isn’t that so nice?! Theodore is sitting on my lap as I type this, and he keeps turning on the caps lock key. I love you, sweet, pesty kitty with no teeth. This brings me to a conversation Shaun and I had two nights ago. All true. Me, to Theodore: God #$%^&&, you #$%^& cat!!!!!! Shaun: What is going on? 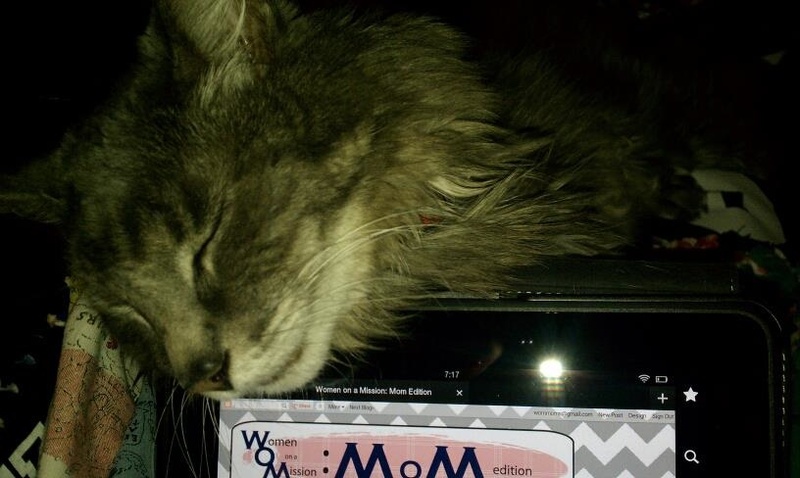 Me: No, I like him half on my lap and half on my kindle, it just pisses me off when he messes up my page and I don’t know how to find it again. Me, to Theodore as he settles back in, half on my lap and half on my kindle: A$$hole. Me: Theodore is like the best child ever. You can swear at him all you want and he still loves you and has no idea what you’re talking about. I told you it was true. 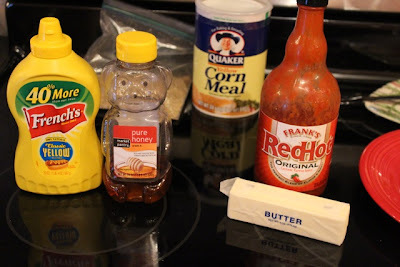 I used Frank’s RedHot sauce – it comes in a big ol’ bottle and unsalted butter. In a microwave safe bowl, put a ½ stick of butter and 2/3 cup hot sauce. Shortly before you are ready to eat, melt the two together in the microwave. 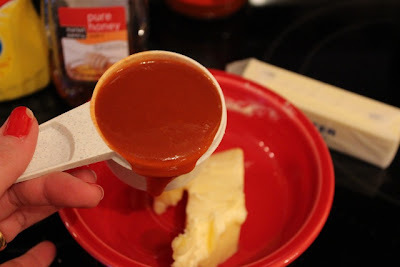 I did this in 30-second increments, stirring each time, until the butter was melted and everything was all blended thoroughly together. I liked it served warm. 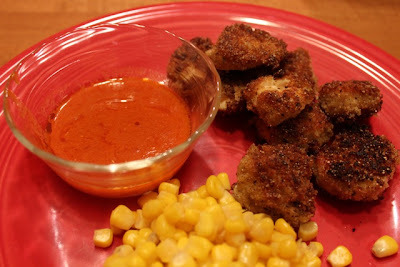 We made homemade chicken nuggets the night I made this sauce – the buffalo sauce for Shaun & me, and homemade honey mustard sauce for the girls (I prefer honey mustard with Dijon but only had yellow; the girls ate it just fine). PS, my nuggets weren't burnt, they were dalish.